First-generation, 5G data-only devices are expected from the second half of 2018. This year will see the first commercial rollouts of 5G networks, led by North America, and large-scale deployments of cellular IOT. Globally, major 5G deployments are expected from 2020. Ericsson forecasts over 1 billion 5G subscriptions for enhanced mobile broadband by the end of 2023, accounting for around 12% of all mobile subscriptions. According to the Ericsson Mobility Report for 2018, 5G will kick off with enhanced mobile broadband as its first use case. In North America, all major US mobile operators are planning to roll out 5G between late 2018 and mid-2019. First-generation, 5G data-only devices are expected from the second half of 2018, says the study. By end of 2023, close to 50% of all mobile subscriptions in North America are forecast to be for 5G, followed by North East Asia at 34%, and Western Europe at 21%, it states. The massive ramp-up of 5G subscriptions worldwide is expected to be fuelled by third-generation chipsets, which will be available from 2020 on a variety of frequency bands, it says. In the Middle East and North Africa, significant 5G subscription volumes are expected in 2021, and in Sub-Saharan Africa in 2022, notes Ericsson. Although some operators in South Africa are trialling the technology, it will likely not be a commercial reality in SA for a few more years. 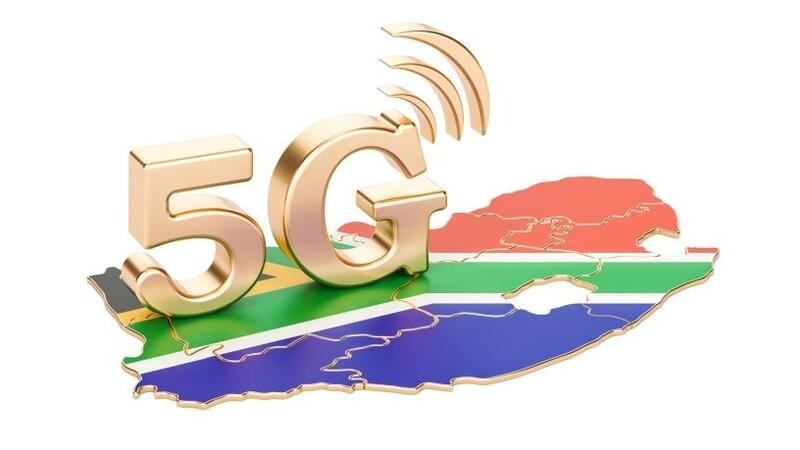 In January, MTN and Ericsson announced their first 5G technology and applications trial in Africa, and Vodacom also announced in November it had signed a memorandum of understanding with Nokia to support efforts to launch 5G in SA. Telkom says it's waiting for the 5G standards to be finalised before it does any major investing in the next-generation technology. In SA we have witnessed different operators in the industry announcing their 5G joint ventures, says Fahad Nisar, technical marketing director at ZTE South Africa. Testing laboratories and research facilities are well underway and many service providers are busy with Pre5G leading to 5G wireless trials, he says. At the end of 2017, close to 20% of all mobile subscriptions were for LTE in the Middle East and North Africa, while in Sub-Saharan Africa, LTE only accounted for around 5% of subscriptions, says Ericsson. Ericsson has also doubled its forecast for cellular Internet of things (IOT) connections as high-speed 5G networks arrive to handle their traffic. It predicts there will be 3.5 billion IOT connections by 2023, from the 1.7 billion it predicted in November 2017. The growth will mainly be driven by ongoing large-scale deployments in China. "China is driving a major paradigm shift in the global cellular IOT industry", says Tobias Ryberg, senior analyst for Berg Insight. "The country has embarked on one of the world's largest digital infrastructure projects that will result in billions of new connected devices in the coming five years. NB-IOT has been designated as the country's preferred low-power wide-area technology and plays a key role in the national policies." The telecom equipment maker says new massive IOT cellular technologies such as NB-IOT and Cat-M1 are fuelling this growth, giving service providers opportunities to improve efficiencies and enhance customer value. Mobile operators have launched more than 60 cellular IOT networks worldwide using these technologies over the same underlying LTE network to support a diverse range of use cases, observes Ericsson. Both technologies are being deployed in parallel as a complement to each other across regions worldwide, it says. Large-scale deployments, and the resulting high-volume chipsets, are expected to reduce chipset prices, it says. This is leading to further acceleration of the growth in cellular IOT connections, it adds. In North America, these cases are centred on logistics and fleet management, while in China they are centred on smart cities and smart agriculture, it adds. "2018 is the year 5G networks go commercial as well as for large-scale deployments of cellular IOT," says Fredrik Jejdling, executive vice president and head of business area network for Ericsson. "These technologies promise new capabilities that will impact people's lives and transform industries. This change will only come about through the combined efforts of industry players and regulators aligning on spectrum, standards and technology."